Providing employment and career opportunities is also a key focus for Ribbonwood NZ. 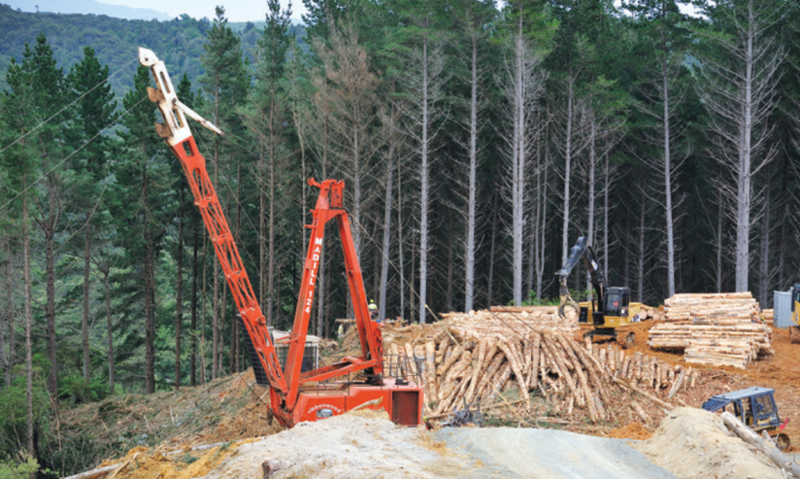 After almost 40 years in the forestry industry, harvesting more than 250,000 truckloads of stumpage logs and returning millions in sales to its clients, Ribbonwood NZ can justiﬁably say that it is one of New Zealand’s most experienced independent forest harvesting and marketing companies still in existence. New Zealand-owned and operated, Ribbonwood NZ is also one of the country’s largest independent purchasers of standing commercial and private forests, woodlots, land and trees. Ribbonwood NZ has competitively tendered and purchased many commercial forests from New Zealand’s biggest corporate owners, managing to unlock additional value and supply chain efﬁciency. Passionate about the industry that he has worked in for the last 30 years, Ribbonwood NZ’s managing director Pete Smith says the company’s hallmark is its focus on performance delivery and transparent accountability in tandem with the integration of its operations and nurturing of its own people and long-term customer relationships. “We care about the result as much, if not more, than our clients. There is no difference in how we approach and carry out forest harvesting, be it one of our own or that of an independent client. “We constantly buy standing trees and forests ourselves to insure we’re always invested in the industry and retain an intent to create wealth for owners and stakeholders” Providing employment and career opportunities for those who ultimately make it happen is also a key focus for Ribbonwood. Ribbonwood’s partnership structure in developing a new generation of logging crew owners and cartage contractors has been the industry benchmark and led to founding director Kevin Goodman being recognised with the FITEC (Forest Industries Training and Education Council) Outstanding Industry Contribution award in 2007. “Part of that award recognition was the culmination of 30 years dedication to developing people and identifying the need to create a succession model that matched the sustainability of plantation forestry itself,” explains Pete. Having endured 40 years in an industry that has provided its fair share of difﬁculties Pete envisages the environment and health and safety being one of the industry’s key challenges going forward. New Zealand owned Ribbonwood NZ is one of the New Zealand’s most experienced independent forest harvesting and marketing companies. Following the recent Tolaga Bay storm it became crucial to allocate time towards ﬁnding appropriate solutions on red-zoned and steep classiﬁed land to manage the harvest wisely. Pete says much is made of the dangers of forestry through the media, however he believes the industry is well advanced and continues to positively evolve. Concerned about health and safety within the forestry industry, Ribbonwood developed Linksafe for the forestry industry to formalise the work it was doing helping other contractors and small businesses with their health and safety systems.